This is a Prey Gear Article. In this article you will learn specific information about the Psychoscope item you will find on Talos 1. The psychoscope is one of the most important items in-game. This breakthrough in technology measures paranormal brain activity and scans living matter. 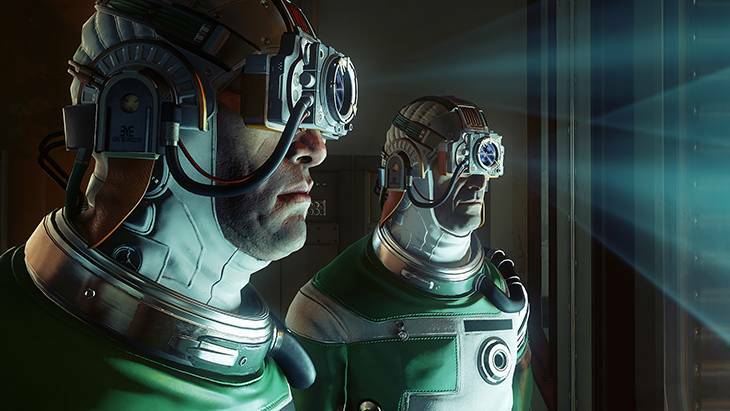 This headgear allows you to learn and mimic the powers of the aliens you find on Talos-1. However, scanning takes quite longer than usual, and the typhon are very dangerous creatures. It is best to use it wisely. 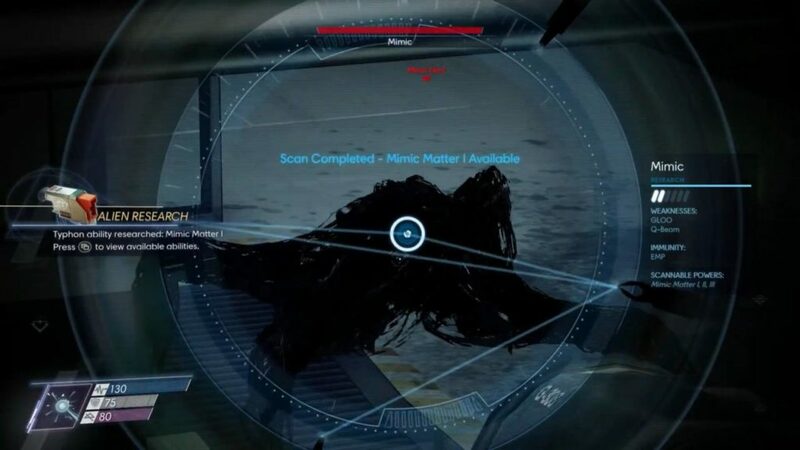 The psychoscope can be found on a corpse in psychotronics. You have to head down a GLOO-covered hole and find the corpse of Januz Joszef underneath the men’s locker room. Aggressor Amp 1337Si Increases the damage of all Psi attacks by a small amount. Coral Detector 64Si Modifies the Psychoscope to be able to scan Coral. Coral Psi Extractor 21.4GHz Regenerate Psi on contact with Coral. Electrostatic Amp +6qw5 Boosts the amount of damage done by Electrostatic Burst. ESP Targeting 163xf Increases damage to marked enemies. FarScan 002Si Increases the range at which Typhon can be scanned with the Psychoscope. Fear Reactor 0322Si Upon killing a Typhon there is a chance to trigger a Fear blast on other nearby Typhons. Fear Shielding 21.4GHz Grants resistance to Fear. Governor 1400Si Increases the duration of Machine Mind and Mindjack abilities. Kinetic Amp +6qw5 Boosts damage done by Kinetic Blast. M3chT3ch dx_2.0 Reduces the time it takes to repair an object. Mimic Detection Gen 1 Allows detection of hidden Mimics. Mimic Detection Gen 2 Allows detection of hidden Greater Mimics. Nullwave Shielding 21.4GHz Shields the effects of the Nullwave Transmitter. Optimizer (Energy) 00100z Reduces the Psi cost of Energy powers. Optimizer (Morph) 00100z Reduces the initial Psi cost of Morph powers. Optimizer (Telepathy) 00100z Reduces the Psi cost of Telepathic powers. Pistol Critical++ Increases the critical chance rate when firing pistols. Potentializer 23-0948Si Increases maximum Psi pool by 50. Psi Reflect rev609-1 Chance to reflect a Psi attack. PsiV-AMP .24 Sneak Attacks restore a small amount of Psi. Psychoactive Charger S-i286 Slowly regenerate Psi over time. Psycholitic Converter =/~ When the Psi meter is empty powers will consume health instead but at an increased rate. Psychoshock Amp +6qw5 Boosts the amount of damage done by Psychoshock. Psychoshock Shielding (*) 21.4GHz Grants resistance to Psychoshock. ReActivator x2t-00 Decreases the cooldown time of Psi powers. RecoverE++ 2094i Enhances the regeneration rate of Health. Shotgun Critical++ Increases the critical chance rate when firing the shotgun. SpeedScan 001Si Decreases the amount of time needed to complete a scan. Superthermal Amp +6qw5 Boosts the amount of damage done by Superthermal. Wrench Critical++ Increases the critical chance rate when attacking with a wrench. Zero Point Psi 19-03weOS You have a chance to cast a Psi power for free. Hello, Where is the psychoscope please ?